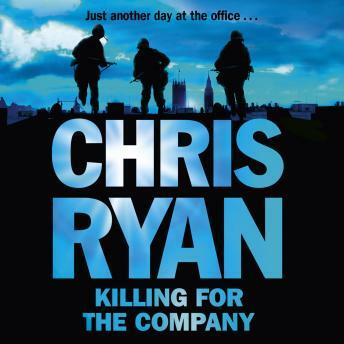 Former SAS legend Chris Ryan brings you his sixteenth novel and it is full of all his trademark action, thrills and inside knowledge.2003. Invalided out of the SAS Chet Freeman makes his living in high-end security, on a temporary contract for an American corporation called the Grosvenor Group. He catches a young woman, a peace campaigner, eavesdropping on a meeting the Group is holding with the British Prime Minister. The Group's interests include arms manufacture, and what Chet and the young woman overhear seems to imply that it is bribing the Prime Minister to take his country into an illegal war. Could this possibly be true? Somebody believes that this is a secret that needs covering up, because Chet and the girl are attacked. Hunted down, they go into hiding, and a deadly game of cat and mouse begins.Nearly ten years later tension is reaching breaking point in Jerusalem. The now ex-Prime Minister is working as a Middle East peace envoy. As the city descends into anarchy and rival armies are poised to turn it into a battlefield, Chet's best buddy, Luke, is part of a team tasked by the Regiment with extracting the ex-Prime Minister.At the height of the battle Luke discovers a conspiracy far more devastating than any arms deal.